Instead of the usual ridicule we hurl here on politicians both local and national, we’ll break with tradition and render kudos. Jason Chaffetz, the Republican US Representative from Utah’s 3rd district, is in the currently in the news because of an immigration bill he recently sponsored. The bill, once it passes the senate, would eliminate the 7 percent cap which kept the citizens of particular foreign countries from gobbling up all the visas issued to enter the US. The 7 percent cap is arbitrary, as China and India alone hold 40% of the world’s population. Why should small countries like Chile arbitrarily have as wide a door into the US as China, right? They shouldn’t, so thanks Rep Chaffetz. 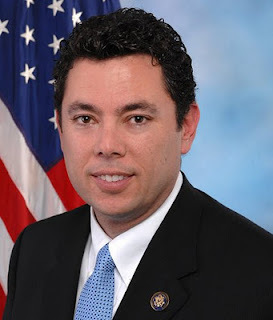 Chaffetz, you might remember, in 2008 went wide right of Chris Cannon (hard to believe, I know), a long-time Representative from Utah, and beat him in the 3rd district Republican primary. He’s come off as a little more gimmicky than substantive, however, as he’s best known for sleeping on a cot in his Washington office and introducing legislation to restrict the use of full-body imaging scanners at airports. You may not have known that he was a kicker for BYU and received a BA in communications (okay, so he doesn’t have the intellect or credentials of, say, a Mitt Romney). He later went on to work for Nu Skin, from where it seems Jon Huntsman plucked him to be his campaign manager in 2004 and subsequent chief of staff (did he know him or something? the Wikipedia profile is silent on why Huntsman thought Chaffetz fit for the job). I’m probably just in a sour mood, but shouldn’t the populace just naturally require some sort of educational requirement—perhaps something rigorous, or past the bachelors—for those who would make this country’s laws and determine the federal budget? But, anyway. In terms of immigration once again, the Chaffetz bill, while a step in the right direction, does nothing to increase the number of educated immigrants allowed into our country, which is a travesty. The world’s best and brightest come to our universities, receive invaluable training and connections, and then we force most of them back to their home countries. It’s no wonder that Michael Bloomberg (mayor of NYC, billionaire) called this a policy of “national suicide.” And, no, foreigners don’t take jobs from Americans, as the number of jobs at any one time is not fixed. Immigrants are highly entrepreneurial. In fact, a recent survey found that 52% of Silicon Valley startups were founded by an immigrant. We’d make a decent amount of headway in helping our country’s housing crisis, entitlements problem, and largely stagnant incomes if we stapled a greencard to the diploma of all those who come to our universities from abroad.